Review: What is a Muslim? As my regular readers know we are a family that loves books….although my eldest is ALWAYS in her room reading and I am not currently sure what I think about that as it seems a bit anti social!! But that aside, I love the fact that so many good quality children’s islamic books are being released. We recently learnt of What is a Muslim? and when asked if we would like a copy I couldn’t say no. What appealed to me was that it is a father and daughter project, with the illustrator being the 10 year old daughter. The idea behind the book is to inform the reader in a fun and simple way, about the basics of being a Muslim. In today’s world where there are so many misconceptions about Islam, we believe books like this can help foster more tolerance and understanding. I feel that the book has achieved what it has set out to do…to teach some basics of Islam is a simple and fun away. The five pillars of Islam are covered without going into specific detail of saying these are the five pillars. Bee’s favourite of course were the illustrations. Masha’Allah 10 year old Sousann has done a lovely job, and the style of the drawings are sure to appeal to the younger children. Bee’s favourite of course was the pink and purple page. The text used is very simple so even the youngest child can understand. My eldest though did ask what it meant by ‘colorblind’ so had to explain that to her. 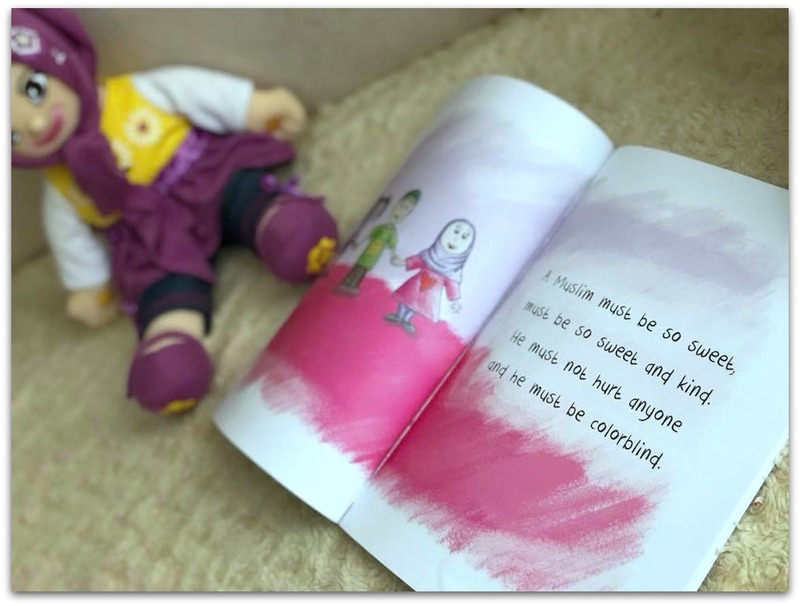 The style of the book is that it is written in the style of a nursery rhyme, and you are also provided with a link to be able to listen to the rhyme read out by the author. The nursery rhyme is all vocals with no music. 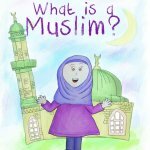 An ideal book to help the younger children understand what a Muslim is, and also to help the non muslims get a simple and brief idea of the basics of what being a Muslim is about. You can purchase the book from Amazon: What is a Muslim? (affiliate link). Disclosure: We were sent What is a Muslim? for the purposes of review. All thoughts and opinions are our own. 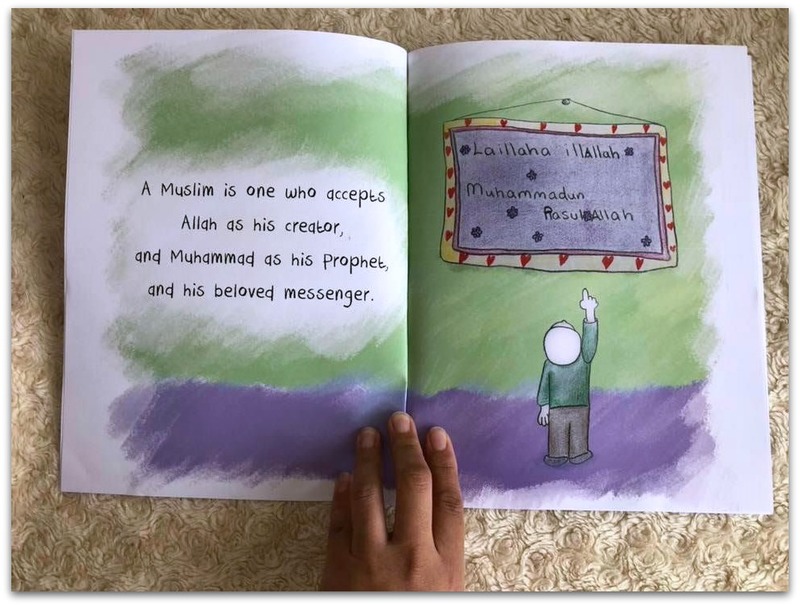 This looks like such a lovely book….It seems a fantastic way to introduce non muslims to what a muslim is…. Lovely! As an aspiring children’s book author myself, it’s nice to see what else is out there. I love that the illustrations were done by a 10 year old, masha Allah. Maa shaa Allaah! Love the rhyming style and bring read out by the author. Looks like a simple and good one for the Muslim child and orherwise. UmmAnas recently posted…Raising a Child with a Mission: Action Points for Muslim Parents. You can never have too many Islamic books that reminds you of your deen. Thank you for sharing :). Mashaa Allaah, it was written by a 10 year old.. how talented masha Allaah. I will have to buy it as a gift for an upcoming bday. This book looks too cute! I love that the illustrations are by a child! looks like my girls will enjoy this! thanks for the detailed review! 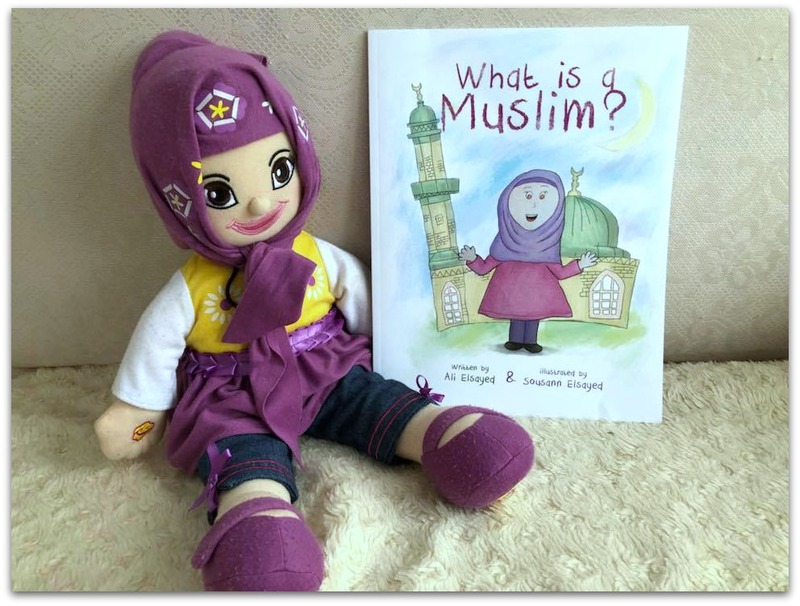 Lovely idea to get non Muslims kids to understand what a Muslim is. Would do well in a story time especially in a multicultural class. Looks a fab book! What a great way to teach children the basics. Totally appreciate it. Pictures are so good & looks like this book is extremely helpful in learning you know. Gonna check it out. This looks like a really good book. It is great to see more and more books that are appropriate for muslims and cater for the needs of muslim kids!